Blackjack is a card game that has become very popular among casinos for many years. The game provides an easy to understand opportunity with various rewards up for grabs. The game has been around for hundreds of years as the earliest reference to the game appeared in a book from 1602. Surprisingly, the game has not changed much other than the fact that casinos use more than one deck of 52 cards at a time in today’s standard Blackjack games and that many more variants have become available for players, which includes more rules, other layouts, and benefits for players to enjoy. The reason more decks are used is to make it impossible for players to count cards as this gives them an unfair advantage. The fact is that Blackjack provides one of the highest payout rates in the world, which ranges well over the 98% mark. This means the house edge is less than 2%, making it one of the most rewarding gaming opportunities to choose from. The world Blackjack was introduced long after the game was created as it was first referred to as 21. However, when it became popular in America, the casinos offered additional winnings for certain combinations, one of which was a payout of 10:1 for a hand holding an Ace of Spades along with a blackjack, which became known as the highest payout in the game. Today, very few people still refer to the game is 21 as the Blackjack reward term has become the game’s name, which has spread throughout the world. Blackjack is very easy to play and only requires new players to understand a few rules about the game, which is a lot less technical than most other table games. For example, to play Blackjack, all you need to know is that Aces can be used as 1 or 11, all other cards hold their own value, face cards are valued at 10, if you exceed a hand total of 21 you will automatically lose, if you have a higher value than the dealer you win. With these rules, you will be able to enjoy the basics of Blackjack, which is another reason the game has become increasing popular and will do so for many years to come. Today, there have been many strategies and systems applied to the game from players, which increases their chances of winning while also covering various aspects of their gaming ensure the best possible results are achieved. Many casino enthusiasts refer to the game as pure luck while players with a strategy or betting system refer to it as a game of skill. In this article, we will have a look at all the various aspects of Blackjack while also including a few of the most popular strategies and putting them to the best. This article is suitable for all player types ranging from beginners interested in learning more about the game through to professionals finding new ways to improve their profits and strategies. Blackjack comes in many variants, which have been developed over the years to provide a unique gaming opportunity. These additional game rules provide anything from a side bet through to games that include fewer cards, but other additional benefits. However, to see the differences, you would need to understand the standard game rules first as this will point out the benefits of the other game options. All the games are based on the regular Blackjack game and simply include a few other rules. The regular variant of Blackjack is played with 52 cards and can include 1 to 8 decks. However, the single deck game is not as popular anymore as some players have managed ways to count cards in the past. Some online casinos do still provide the single deck gaming options, but most use 6 to 8 decks. The card values from 2 to 10 consist of their own face values whereas Aces can be used as 1 or 11 and face cards all consists of 10. The objective of the game is to get closer to 21 than the dealer without exceeding 21 as this would be a bust (instant loss). In the standard game, the dealer is required to stand on a soft 17, meaning anything below 17, the dealer needs to draw another card. The highest hand in the game is Blackjack, which is a face card and an Ace. However, 21 can also be reached in other ways, but a Blackjack hand would always dominate. Players will have the opportunity to accept insurance should the dealer have an Ace face-up card. Should the dealer, in fact, have 21 along with the value of the face-down card, you will receive 2:1 of the bet placed in insurance and the round will end as the dealer will show his cards. Players will lose their bet on the table, but the insurance reward will be paid. This bet may not exceed half the value of your bet placed. Standard Blackjack includes all the normal gaming options, which includes hit that gives the player another card. Stand means you do not wish to receive any additional cards or made any more moves. Double-down is a popular option that requires you to instantly double your bet and only receive one more card, no other moves can be made once double-down has been selected. Split lets the player divide 2 cards of the same value, which also requires a bet equal to the first wager placed. Each hand will receive another 2 cards, which can be played individually. Some variants of regular Blackjack also include a surrender option. However, this is not popular among casinos as this option is available more with other variations of the game. If the option is allowed, the player will have the opportunity to forfeit half the bet placed and take back half and not have the chance to play the rest of the round. This option can only be used in the first round of the game, meaning you cannot choose hit, stand, double-down, or split before surrendering. The regular variation of Blackjack begins with a bet placed in the bet circle on the table in front of your seat. The dealer will leave that bet in place and provide you and all the other places with 2 face up cards. These cards need to be added together, which is your total hand value for that round. The dealer will then begin with the place to their left and offer the available options such as hit, stand, double-down, and split if applicable. Each player can then choose an option and stand once a high enough value has been reached or 21 has been exceeded. The dealer will flip his face down card over for the table to see and add additional cards if the value is below 17. If the dealer exceeds 21, all win that have not exceeded 21 as well. The payouts include 1:1 for standard wins and 3:2 for any Blackjack wins. Now that you have the basics of the regular Blackjack game, you will find the other variations of Blackjack a lot easier to understand and also spot the differences in benefits and disadvantages they might present. Pontoon is a popular online Blackjack game that provides a gaming opportunity very similar to regular Blackjack, but with a few additional rules and options to choose from. However, to add benefits for the player, the game needs to also provide a disadvantage in another way to keep the house edge. The game is exactly the same as Spanish 21, but in Australia and Malaysia, the game is referred to as Pontoon. Pontoon is played with 4 to 8 Spanish decks, which is a regular deck of cards, but all the 10’s have been removed, meaning only face cards can provide a 10 value. The game rules require the dealer to hit on a soft 17, which increases your odds of winning as it provides a better possibility that the dealer will exceed 21. Players also have the option to double-down on 9, 10, or 11 only. The game provides the option to surrender if the dealer has an Ace or face card. However, this does not work the same way as the regular game as Pontoon surrender results in a sign placed on the player bet and should the dealer get Blackjack, the players will still lose the entire bet placed. If not, the player will receive half the wager amount back. Other rules include the fact that a player with 21 or Blackjack will win automatically, irrespective of what the dealer has. Pontoon also includes additional winning opportunities, which depends on how many cards were used to reached 21. Hitting 21 with 5 cards will result in the same 3:2 payout as Blackjack. However, if you manage to get 21 with 6 cards, the game will reward 2:1, and should 21 be reached with 7 cards, players receive 3:1. Keep in mind that these payouts are invalid if you choose to double-down. Some casinos and developers have also included other ways to provide additional payouts, which can be viewed in the paytable of the game. Double Exposure Blackjack is one of the variants that hasn’t been very popular among casinos as many players don’t understand the rules. However, the game includes various great advantages for players to benefit from, which includes the double exposure feature that lets you see both the dealer cards from the very beginning. This decreases the house edge in the player’s favor, which is why other rules have been changed to increase the house edge once again. However, Double Exposure Blackjack has a much higher payout rate than regular Blackjack, but would still require a good system to ensure a rewarding round each time. Many of the game rules are exactly the same as regular Blackjack, but some have been changed as mentioned above. This includes the fact that the dealers hand always win in a tie, meaning you both you and the dealer have 18, the dealer will win. The payouts have also been altered to even money winnings for Blackjack hands, meaning you will receive 1:1 instead of 3:2 for a hand consisting of an Ace and 10 card. Finally, players have the ability only to split once, which is not a major difference as it is rather uncommon for the same cards to appear 3 times. There are some variations of the game that differ in rules. For example, some casinos or online developers will require the dealer to hit on a soft 17 whereas others will require the dealer to stand. Some casinos will allow favor the player in a Blackjack tie or require the hand to be a push, meaning no one wins or loses. The best way to ensure you understand the rules of the game is to view the game rules before placing a bet. However, apart from those mentioned above, only small changes will take place. Double Attack Blackjack has about the most rule changes you will ever see. This is because the game provides a number of great advantages, but also a few disadvantages to once again tilting the odds for the house. One of the biggest rule changes is that players have the ability to double their bet when the dealer’s face-up card has been placed. This means you can increase your wager before you’ve received cards, but know what the dealers first card is. The game is played with up to 8 Spanish decks (10’s have been removed) and allows the dealer to stand on a soft 17. Only one of the dealer’s cards are exposed and flipped over when the round has come to an end, and all players have made their moves unless as Ace or face card appears as the face-up card, in which case the dealer will check for Blackjack. Other rules include the ability to double down after splitting, which means you can choose one or both of the split hands, double your bet and receive only one more card for each hand. Only a pair of Aces cannot be re-split and if split, each hand will only receive 1 additional card, but the game will allow all other hands to be split up to 4 hands. However, some casinos will only allow 3 hands in total per round. Should you have split and wish to surrender, this can be done at any time. Players can also choose to surrender one hand or all hands at the same time if more than one split has taken place. This will work the same way as the regular game, meaning half your bet will be lost. With these rules, players will have the opportunity to play the game and Double Attack as soon as the dealer has put down his first card. This bet can range up to the same value of your original bet, but may not exceed the value. Should the game result in the player choosing to double-down or split, the bet and the double attack needs to be matched. If the player chooses to surrender at any point for any reason, half the bet and the attack value will be lost. Double Attack Blackjack also comes with a side bet option called “Bustit.” This is an optional side bet, which provides the ability to win up to 200:1 even if you’ve lost the round. Players have the potential to choose any wager amount for the side bet as long as it is within the table limits. There are various payout opportunities, which begins with a 3:1 payout when the dealer exceeds 21 with a face card. This payout usually results in a win for both hands, but should you have exceeded 21 as well, the side bet will still remain valid. Other winnings include a reward of 6:1, which is paid when the dealer exceeds 21 with a 9. Players can also win 8:1 when the dealer busts with an 8, 10:1 if the dealer busts with a 7, 15 to 1 if the dealer busts with a 6. The odds of this happening are obviously lower as the value values decrease, which is why they have increased the payout. The side bet also provides the ability to win on what the dealer has, which includes 50:1 for dealer’s hands with 888 of different colors, and a total win of 200:1 if the dealer’s hand holds three 8’s of the same suit, which is not common at all as you can see in the payment for this hand. There are many different Blackjack strategies to choose from, which range from a simple betting system through to the most advanced betting strategies, which involve math to provide the best results. However, for those of you who are new to Blackjack, we recommend starting with a basic strategy and learning the game properly before advancing on anything betting system. Not only with these strategies help you understand the betting systems, but they will also provide you with the knowledge required to put the advanced strategies to good use and get the best results. Using a basic strategy doesn’t mean you are a weak player, it simply means that you are learning the game from the basics up. This is sure to make you a better Blackjack player and help you understand the game in the best possible way. This will not only allow you to advance to better strategies, but also find your own ways to modify strategies and make them unique to what you need, the winnings you hope to achieve, and the knowledge to know when you need to walk away. 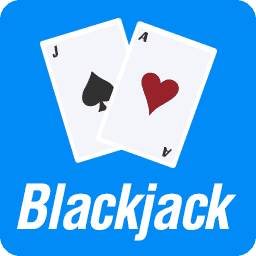 Using charts I one of the safest and most popular ways to learn Blackjack. Many players start off without any charts, which could result in a lot of confusion and regret later on. Simply knowing the rules of Blackjack isn’t enough on its own as the house edge is not in your favor. Using a chart also own tilt the house edge, but it helps you choose the best possible move and achieve winning more often. When playing Blackjack, you will learn that it’s impossible to win every hand, which is why you need to make moves accordingly. Charts are basically grids that tell you what to do with each hand total if the dealer has a particular card value that can be seen. All of these charts will tell you to avoid taking insurance as the house edge is much bigger on these bets, meaning your additional wager will result in a loss more often than a win. This means it’s better to simply risk it and take the loss of the game, rather than the loss of insurance. Once you’ve found a chart, and yes there are many to choose from, you would need to keep it open on your PC while you play. Those of you who prefer to play in land-based casinos would either need to memorize the chart or take a copy with you. However, online casinos provide the same benefits as land-based casinos, especially with live dealer Blackjack games. The different charts include various risks, which include low risk (safe playing/lower winnings) and high risk (riskier plays/Higher payouts). Once you understand a chart, you can make changes as you wish. However, be sure not to make huge changes all at one time as this could destroy the point of using the chart and result in more losses than you’d think. We recommend putting a chart to the test with free only games and do not make any changes simply because the hand resulted in a loss. As mentioned, no system in the world can guarantee a win with each round you play. To work with a chart, you will see it tells you where the dealer’s hand is and what your hand total is. All you need to do is find the point where they meet to see what your next move is. For example, let’s say the dealer hands are listed along the top of the chart and include 2 to 9, face cards, and Ace. Your hand total is listed on the left side and range from 8 to 17 (anything below 8 is hit, and anything above 17 is stand). Now, let’s assume the dealer’s face up card is an 8, meaning you will go to the column with an 8 at the top. You hand total is 12, meaning you would go to 12 on the left. Simply find the point where those columns meet to see your next move. Most charts list the moves as H for hit, S for stand, SP for split, and DB for double-down. You will also find these charts include alternatives for when the game does not allow you to double-down or split or any hands. Once you’ve used the chart for a while, you will get used to knowing what you need to do for the best possible results. However, winnings are sure to remain rather unimpressive, which is where you would implement a more advanced strategy. These advanced strategies are also easy to use, especially when you understand Blackjack with a chart. You would still use the chart as per usual, but include a betting system at the same time, which covers your losing hands and still adds profit to your account. Progressive betting systems are available in many advanced strategies, such as the Martingale system. However, if you understand the basics of progressive betting, you will be able to put the system to good use whether you use the Martingale system or not. Progressive betting will require a bigger account balance as you would need to increase your wager amount multiple times. Basically, you increase your bets with each losing hand and return to the original bet value once you’ve won a hand. This will cover your losing hands as you double the next bet to increase your winnings. For example, in the Martingale system, you would play the first hand for $1 for example, should you win, you would at least double your money, and the next bet would once again be $1. If you lose this bet, your next wager would be $2, if you lose again $4, then $8, $16, $32, $64, $128. Basically, you need to double each consecutive losing hand and return to your $1 bet once you’ve won. We recommend having an account total to double at least 8 consecutive bets. This means if your first bet is $1, you would need a total of $128. However, if you start off with a bet of just $0.50, this would mean an account total of $64 is need at the least. More advanced modifications can also be applied to this betting system, which includes increasing your wager a bit more with each losing hand. This will increase your winnings, but also increase the wager amount when doubling up. For example, start off with $1, you would increase your bet to $2 if you lose, but instead of just doubling to $4, you would increase to $5, then $10, $20, $40, etc. This will still cover your losing bets, but instead of gaming just a $1 profit, you will gain a bigger profit due to the increase. Players can also increase the wager more at certain points, which provides an even bigger profit. The system works very well and can be tested with free gaming options. However, before you increase the bets while progressing, be sure your account balance is high enough to cover 8 bets at the least. Also, keep to your charts as this will ensure you don’t lose too many times in consecutive order. The Labouchere System includes great benefits as well and also works on a progressive system. However, this works a little different to the Martingale and standard progressive betting system and gives you more control. However, you would need to play the system completely before exiting the game, which means you need to have enough game time to ensure you cover all the bets you lay out. Basically, this is a cancellation system, which means you would require a piece of paper or have a document option of you are using a PC. You would also need to keep track of your game on this paper or document as your next bet value keeps changing. To put the system to use in a basic way, you would need to place a row of 1’s on a page. Most players start off with anything from 4 to 10 ones, which allows you to see how the system works and the advantages. Let’s put it to test with 6 ones on a page (111111). You are required to take the first and last number combined to see what you need to bet. This would be 2 in total. Let’s assume your bet amount is $1 per unit, which means your first bet is $2 as you would take the first, and the sixth number added together. Do not change anything on the row of numbers until you’ve finished the hand as you’d need to know the result first. If you win the first hand, cross off the first and sixth number as they have been used (111111) and move to the next 2 numbers inwards. If you manage to complete the row without losing, you would have doubled your money for 3 $2 bets, which is a great profit. However, if you lose, you would need to cover your losses, which is done by adding the losing number of units to the end of the row. For example, let’s say the second round results in a loss, you would now need to add 2 to the end of the row (1111112). Players will not cross anything off the round was lost and once again use the first and last number, which would be 3 as the second 1 and 2 at the end would be used. If this has wins, you would scratch both numbers of (1111112), but if you lose, you would add a 3 to the end of the row (11111123) and not cross out any numbers and once again start with the last numbers at the beginning and end of the row. Play blackjack for free right here!